When you’re looking to hire a web designer or web developer it can seem pretty overwhelming and daunting. Conducting a regular search on Google or Bing can bring up thousands of results. You could spend hours if not days trying to find a quality, professional web designer. So how do you ensure that you find a web designer that won’t take your money and run or hire a web designer that isn’t very good at what they do? When you do find a website designer that you are interested in, what questions do you ask them? I’m sure that if you don’t have specific training in a certain niche or service, you might be a little stranded as to what questions to ask, or how to get a good idea straight away on whether hiring the web designer is the best call. It probably feels like you are diving into the unknown, or have a sense that you are leaving one of the most important and essential open doors to your online business in the hands of somebody you don’t even know is going to do the job properly! I have had many conversations with clients and it’s a common feeling that we all get. But as with everything there is a way around that initial stress when hiring a web designer. 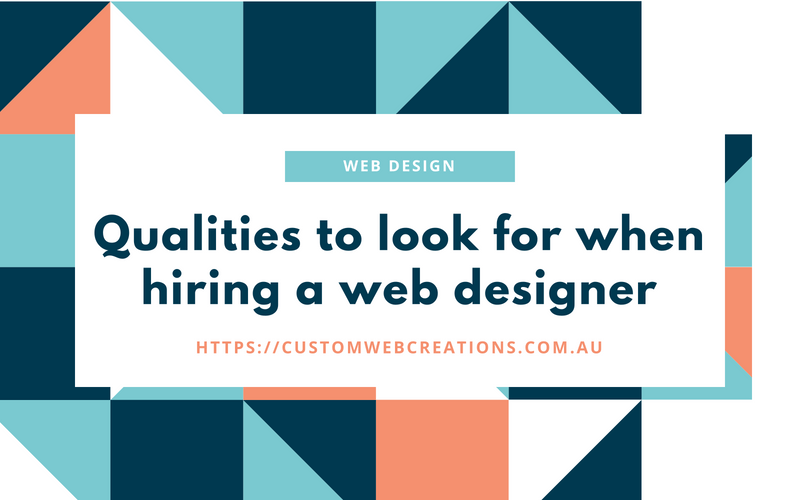 When you know what good qualities to look for you’ll be able to hire a top web designer without getting the feeling that you are lost. 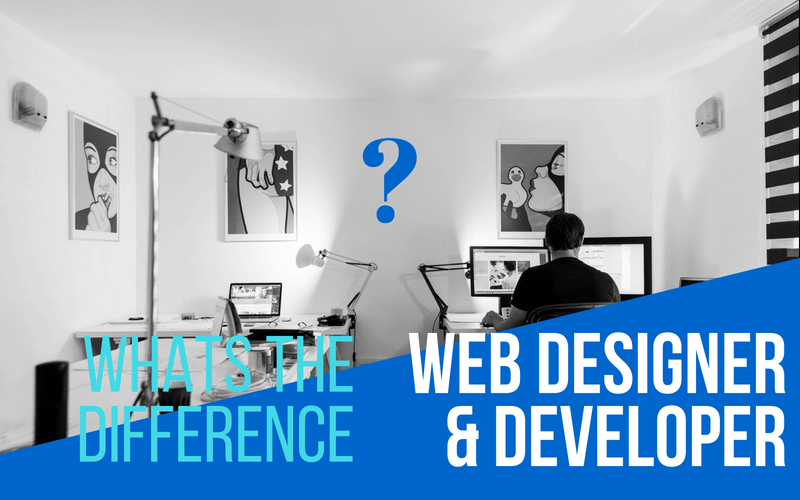 The difference between a web designer and a web developer. 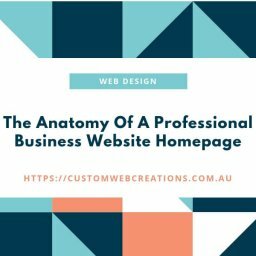 Before we start discussing what to look for when you hire a web designer, let’s talk about the two main sides of a quality business website. Firstly, there is a web designer. These guys work with you to create your logo, figure out what color scheme goes with your business. They help with what content you should add such as images and text, the sections of the website, layout, such as the header and footer, page hierarchy, page headings, etc. Secondly, a web developer is the person that adds the functionality. They design the engine of your website. The web designer creates what your website is going to look like when it is live, what the user sees on their browser and the web developer creates the inner workings of your business website. A web developer can add things like integrated live chat, subscription forms that pop up and add users information to a database in which you can retrieve using an easy to use administration panel and then send them your marketing emails and business newsletters. A CMS (content management system), which is just another name for an area behind the scenes where you can add content to your website instantly, and many other essential tools you need for a website. You can also hire full stack web developers, which is basically a person that can design and develop your website. They are a combination of a web designer and a web developer. Why do you need to know the difference? When you contact a business web design company, you need to know what services they offer. Some web designer businesses offer their services in a variety of different packages. Such as a web design package, and a hosting package. These are two different packages and may be offered separately, so you have to ask the web design company what exactly your package includes. A quality web design firm will offer an all in one package that allows them to design, develop, and also implement your website or get it on Google as a live website, as well as individual packages. A section that tells people what my business offers. Allow people to order a table or a meal online and pay for it. Allow people to subscribe to our monthly email or newsletter. Allow people to contact me if they have an inquiry or question. For all of the requirements above you would need a web designer and a web developer, and they would work together to get the desired result and functionality. An all in one web design package would encompass everything and it would certainly make getting what you want to be done more convenient. I want to add an extra payment gateway to my website so customers can choose how they want to pay. I would like to add a section where I can measure my website for marketing purposes. I would like an admin section where my employees can process orders and where they have different levels of control or access. I this case you would need a web developer for the most part, as it requires changes to the functionality of your website, and there may be a smaller requirement for a designer who may need to make smaller changes to the design of the website. You could compare a web designer to a spray painter and a car detailer and a web developer as the mechanic. 1. Check out their portfolio or design themes and templates. Ever been window shopping, or browse a particular set of items in a shopping center? Doing this will allow you to see whether their design skills and style are what you want. Remember though, when a quality web designer creates websites, they should design them for the unique businesses personality. Their previous web designs themes should have contrast and diverseness to them and not all look the same. 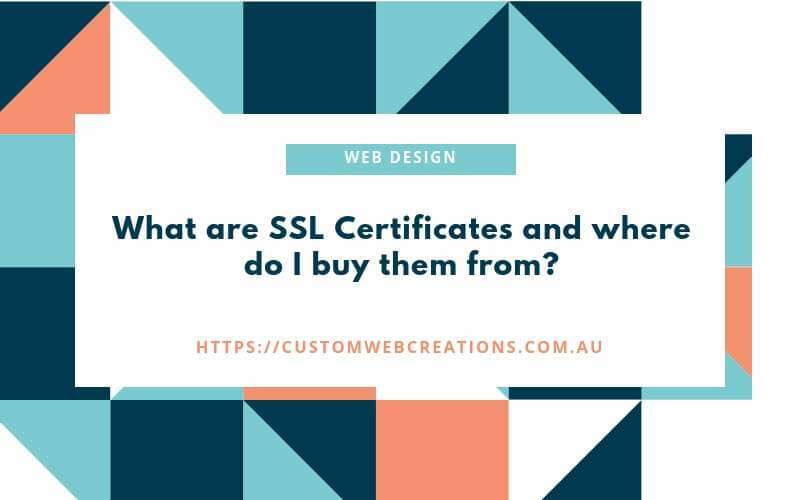 You should be able to let the designer know what you want, of course, there are certain guidelines that all good web designers should adhere to, and most of these are common sense, like displaying contact information and navigation in the footer as well as the heading. Having simple navigation where the user should be able to get where they want within 3 clicks, or having a blog where you can post articles. There are many more elements of a quality website that are essential to your website being a success, and taking heed of the web designers advice, once, of course, you have established a good connection with the web designer or web design company. But as for certain customizable aspects of your design, can be completely up to you and how the elements will best fit your business’s unique identity. So, therefore exploring their previous designs will give you a good impression of the quality of their work. Ask questions that you may have on why a certain section of one of their previous websites was created the way it was. A distinct CTA (call to action) button on every page. A call to action button or link is an area where a user, customer, client or viewer can interact with your business in the final stages of a decision. These can include “Buy Now”, “Contact Us’ or “Download our Ebook” buttons or links. Social media share and like buttons or links on every page. All of the above features should come as standard with any website package and should not cost extra. 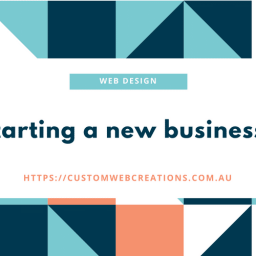 There is nothing worse than discovering, after an initial quote or payment, and after a certain period of time that the web design business starts to ask you for more money. Or the costs blow out. Of course, if you want extra functionality in your website that wasn’t included initially in the package you purchased, it will cost extra, but make sure you know what you are going to be paying, and if need be, write up a contract that is either digitally or personally signed by both parties. Or if they are an extremely good web design company, they will have the option where you don’t have to pay until you are completely happy and satisfied with the end product. 3. What are the ongoing maintenance costs, if any, and can I update or maintain my website myself? This is an extremely important question to ask the web design company. Most web design businesses have an admin panel or a CMS (Content Management System) that allows you add content yourself on a regular basis. For example, having a blog on your website is extremely important, if your website does not have a blog, your website will be hard to find on Google or Bing. A blog is an important aspect of content marketing and should not be overlooked. So ask the web designer if a blog is also included in the web design package. You also have to consider whether or not you have a domain or hosting set up, these are both requirements of having a fully functioning business website running, without these, you cannot have a website. Read more about domains and hosting. Domains are extremely inexpensive and depending on your requirements can be bought for as little as $1.10 for the first year from reputable domain registrars like GoDaddy. Any good web design business should include hosting in your package and should not ask for ongoing maintenance costs for hosting, unless, depending on how large your website or business is, or how popular it is, you may have to ask them about higher demand hosting or VPS which can accommodate large businesses that are established and can cost from around $20 p/m to $50 p/m depending on your requirements. But for a small, or startup business, you should not require this type of hosting, so it should be included in your web designers package price. Overall, ongoing costs depend on how old or the size of your business, for small businesses there should be small or even no ongoing costs, but for established businesses, there may be ongoing costs. It all depends on what you need. So as your business grows you will ultimately end up having to invest more in your website. Most good web design businesses will have content marketing packages that are separate from web design packages that are ongoing in cost. These are essential for your website being found. You can either create your own content marketing strategy yourself, as it can be done with a little time, or you can get an expert to do it. 4. Will the designer be able to change your website in the future for any updates or additions, and how much will it cost. After you hire a web designer, you are hiring them for the duration of the contract, or for a specific service. Find out what costs may be involved if you do need extra functionality or new pages etc. But remember that business service costs can change over time and the quotes they do give will increase a little as time passes. 5. What are the qualifications and experience of who will be working on my website? Ask the company if they have any official evidence of tertiary studies or certificates. Knowing that your website is being made by a professional gives you added peace of mind. The last thing you want is for an inexperienced, unseasoned web designer to design your website. This can lead to errors, bad web design, and at the end of the day, a poor quality website. 6. Will my website look good on all devices such as tablets and mobile phones, not just computers? Mobile responsive web design is a must for all online businesses. 61% of all consumers browse online for products and services on a handheld device and this trend is increasing every year. So having a mobile responsive website is essential, otherwise, think of all those potential customers you are losing. Not only is it convenient but it also enables your company to give the user a great first impression. Your customer will be more likely to interact with your website and your business and will give the user a sense that your company is professional and modern. Mobile responsive web design is the future, and as long as there are mobile phones it will continue to be. 7. Can you or is there a tool you can give me that will show me how many people are visiting my website? They should be able to provide you with an online tool or program that allows you to see the statistics on your website. This will allow you to know how many people are visiting your website, where they are from, what pages they are viewing and how long they stay on your website. All of these factors will contribute to your Google rankings and will also help with your marketing techniques. Google ranks your website based on how many visitors you get, how long they stay on your website and many more factors. If you get 100 visitors in a month and they all stay on your website for only a few seconds, this not only tells you something is wrong, but it also tells Google that your website is not very interesting, and it will lower your rankings accordingly, so you can use this tool for a number of important reasons and the one that I use is Google Analytics. It’s very easy to use and shows information in graph form. When you are looking to hire a web designer, make sure you ask these initial questions. 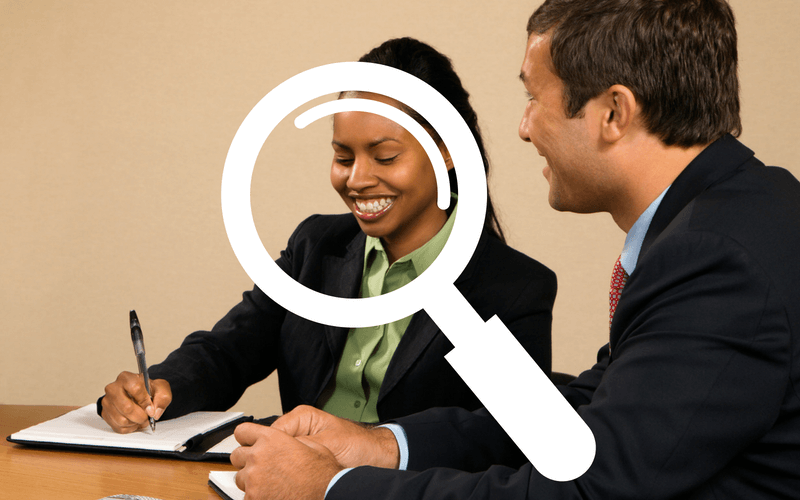 This will allow you to gauge the quality level of there business. You can also ask other custom questions that relate to your business. Hiring a web designer does not have to be stressful and when you hire a web designer these questions will be able to get you the best end product for your money.